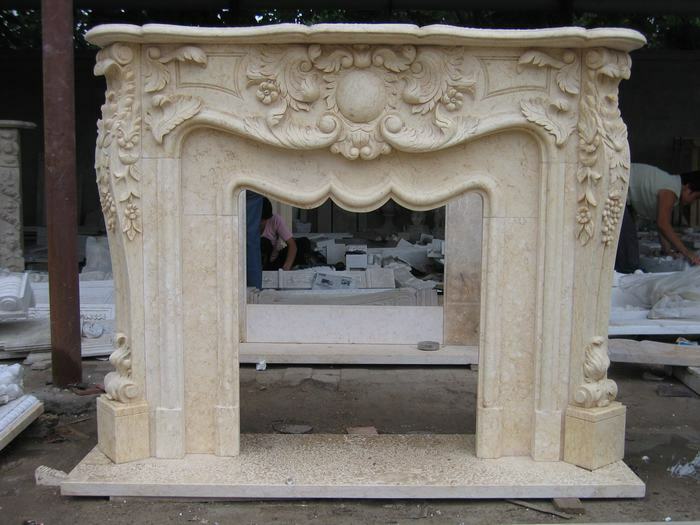 China Factory Free Standing Yellow Beige Marble Fireplace This fireplace is pretty luxurious with so much exquisite carving on it. There are five elegant figure carvings and lifelike flowers carving which making the fireplace resplendent and magnificent. 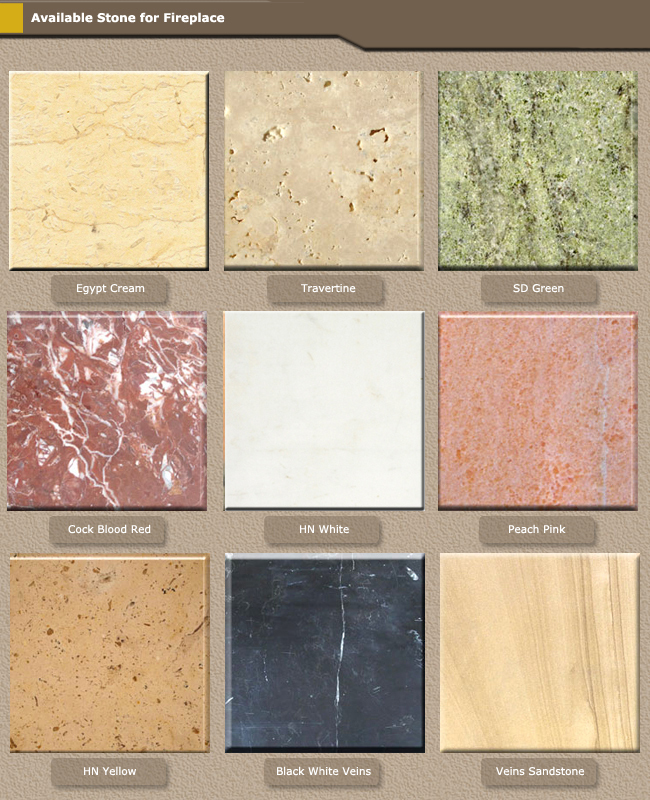 Sunny beige is really a extremely perfert construction material. The beauty of a marble fireplace has been recognised for many years, from the ornate elegance of Louis style carrara surrounds to the elegant chimneypieces in British palaces. 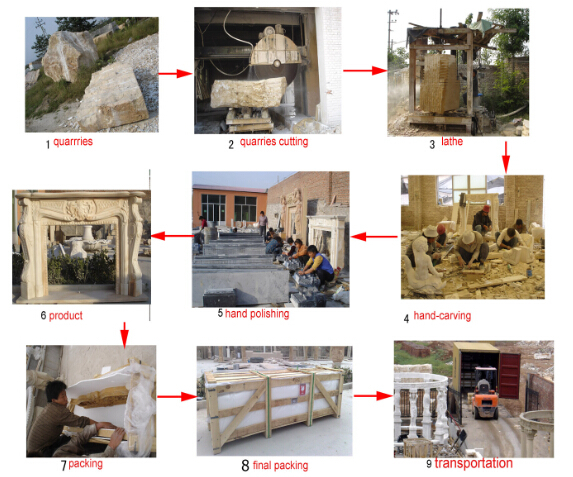 Modern marble fire surrounds are crafted to suit contemporary homes and, due to the fact that marble is non-combustible, the surrounds can be constructed to a much smaller scale than a wood surround, making them perfect for that tiny chimney breast.